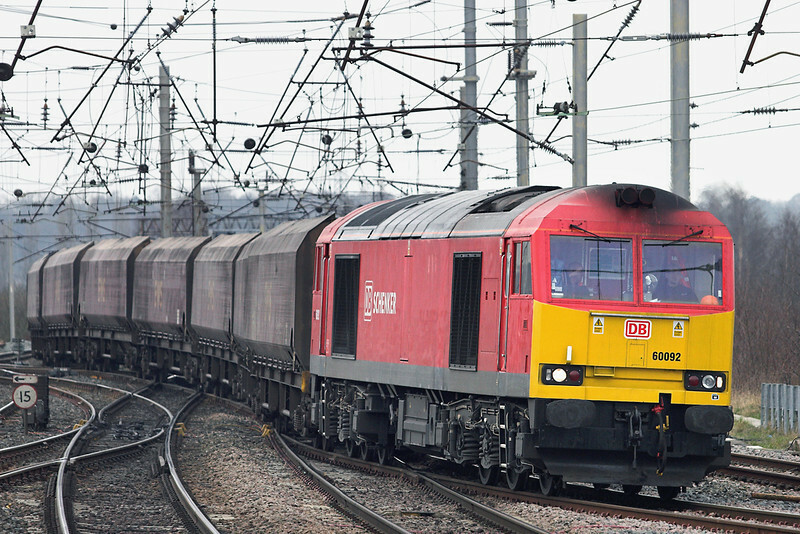 This is part 38 of the Railwaymedia blog, a warm welcome as always. Well, as predicted in the last blog, I haven't got out and about much in the intervening period, nor have I managed to scan any more pictures in as I had intended. What I did manage to do though was finally finish the re-sizing of the pictures that are already on my site; as I only had about 6 months worth from 2009 to complete I decided that it would be a good idea to get those completed. I have also gone through the loco section and tried to improve some of the older processed ones. As time goes on and your processing techniques/taste/eye/computer changes it is amazing how much the outcome of any digital corrections you make to pictures also varies. A picture that maybe 4 years ago you were perfectly happy with you now look at next to a more recently taken one and frankly wince at the difference. A lot is personal taste; I like to make my pictures more 'punchy' with added contrast whereas others may hardly use any additional corrections. The computer screen you use also makes a massive difference as to how you percieve the pictures you view. Hopefully now the lions share of the work on the site has been completed I might also be able to make the effort to actually take some new pictures. One thing that should make a lot of difference is Real Time Trains. 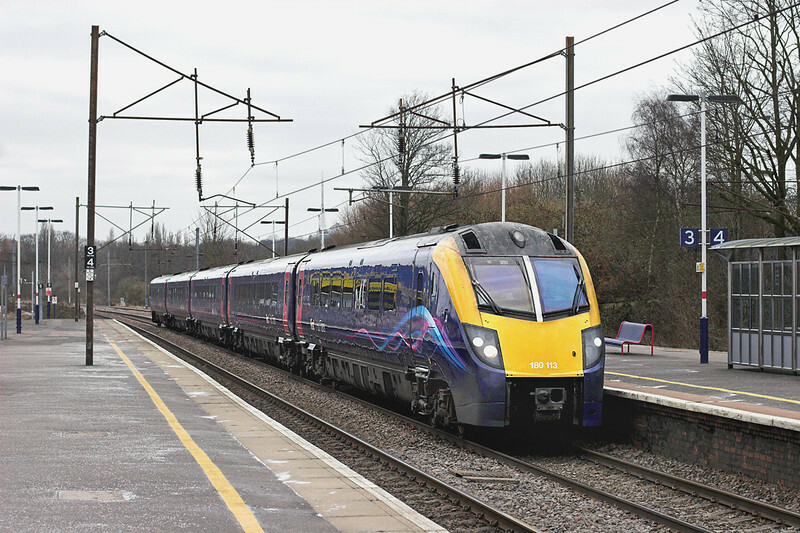 I believe it has been going for some time though only recently has had non-passenger trains regularly added. Whilst I often get access to 'TRUST' (the internal railway reporting system), I now have the advantage of being able to check from home what is running. 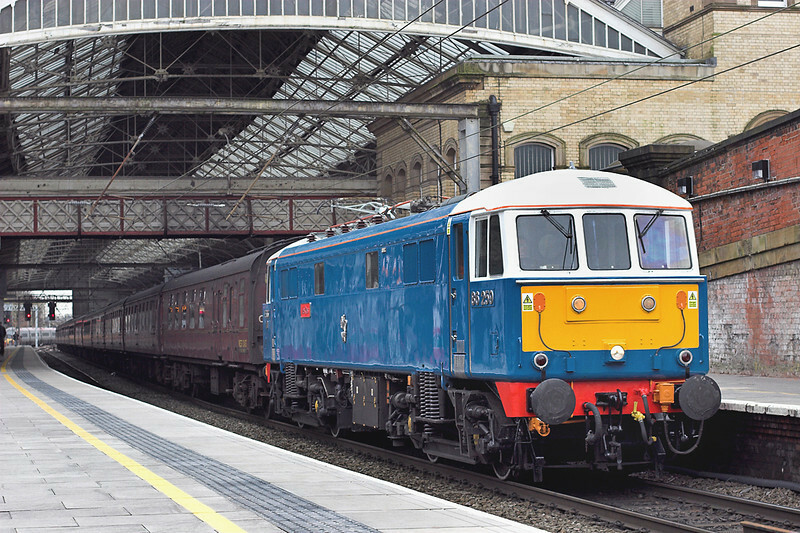 As I am not one for regularly checking the 'gen' groups, it has already enable me to get a shot of this weekends Cumbrian Mountain Express which I otherwise wouldn't have known was operating. The only other trip I have undertaken this month was one last week to London. I had no firm plans on where I was going to go or what to do, other than needing to meet up with some friends at teatime to discuss our forthcoming jaunt to Germany. With the weather frankly dreadful I decided to mainly saunter around North London on a pub crawl of Wetherpoons', though getting the odd picture wherever possible. I do like these sort of days as you tend to end up at places you wouldn't otherwise visit: indeed most of the pictures were of stations and their architecture. 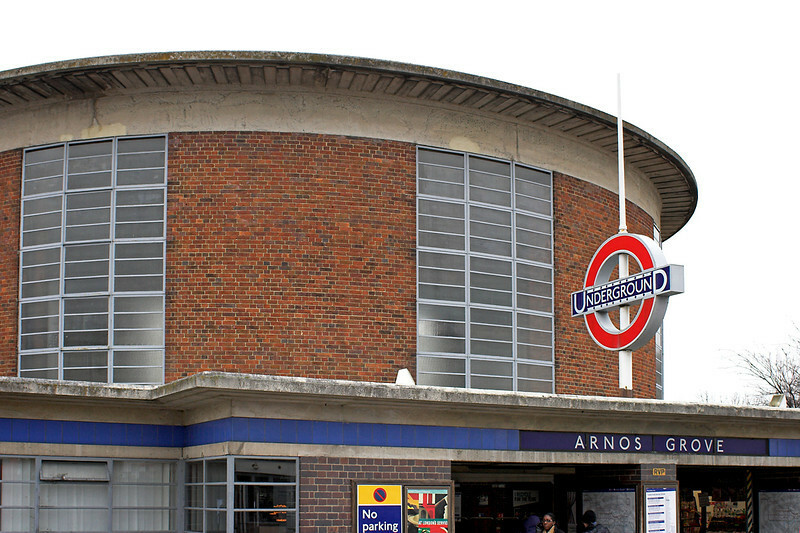 North London, and the Piccadilly Line in particular, are famous for some of Charles Holden's architecture on the stations he designed in the 1930's, such as this famous one pictured below at Arnos Grove. I might have got a few more shots that day but my 50mm prime lens is starting to really suffer from various unplanned incidents (I think a soaking by the contents of a can of Strongbow finally finished it off). The lens quality is still as good as ever but there is great difficulty focussing it correctly. It has already been repaired once and in my opinion lenses once repaired are never quite the same again. Being in London I took the opportunity to buy a new replacement ready for the trip abroad in a weeks time. The shot of the 86 above was the first with the new replacement, this one at New Southgate was the last with the old lens. As I said, clarity is still good so I will retain it as a back-up. Well, a bit of a shorter blog than usual maybe, the next one should cover my planned visit to the Rhine-Ruhr area of Germany centered on Düsseldorf, the highlight of which should be the Wuppertal Schwebebahn (Suspension Railway): please keep a look out for updates in the next few weeks. 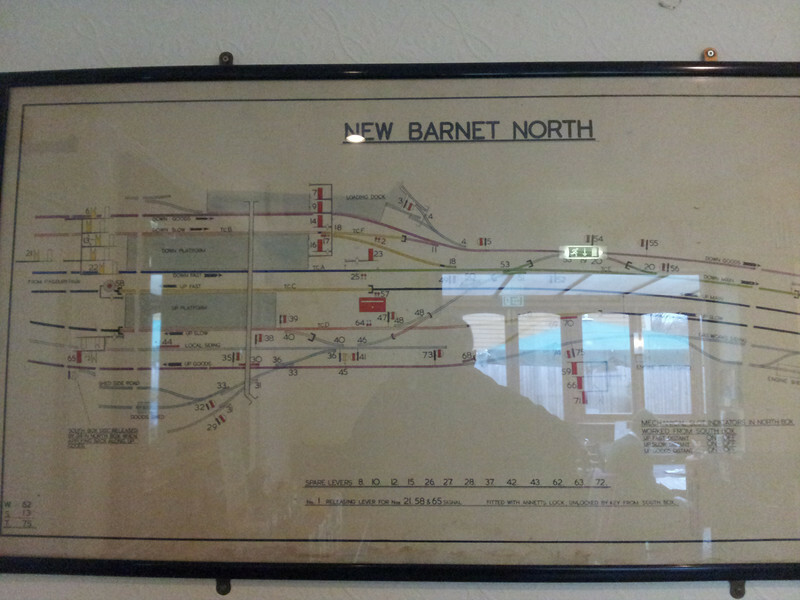 I shall leave you with a picture of a picture; I thought this was a nice touch spotted on the wall of the Wetherspoons Pub located near New Barnet station outside the toilets. Bye for now!